Has the iPhone peaked? Apple says no way. It’s tough to remember a time before the iPhone, which ushered in the smartphone era and radically transformed our lives. A decade ago, on Jan. 9, 2007, Apple CEO Steve Jobs took the wraps off a touchscreen “iPod, phone, and internet communicator” at the Macworld Expo. Little did he (or we) know then just how successful the iPhone would become. Today, the iPhone is Apple’s biggest seller by far. 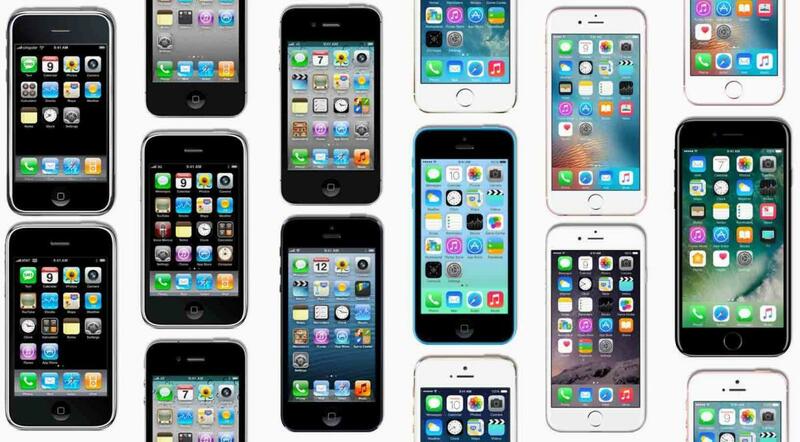 The company has sold more than a billion iPhones in the last 10 years. A lot has changed in a decade. The iPhone now includes an insanely good dual-lens camera in the 7 Plus, a built-in streaming music service, and we can’t forget about the countless essential apps that weren’t possible on Jan. 9, 2007. Apple built native apps for the first-gen iPhone but didn’t allow developers to create their own. Now the App Store is a thriving industry unto itself with countless essential services. Rumors about the 10th anniversary iPhone 8 have been swirling since before the iPhone 7 and 7 Plus were announced. Reports indicate that Apple is working on a curved OLED edge-to-edge glass display with the Home button embedded right into the screen, plus wireless charging. You can’t help but laugh when rewatching the keynote announcement. 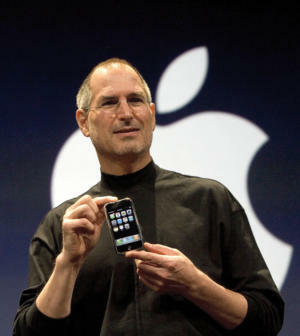 Jobs was clearly delighted by the device and proud to show it off. 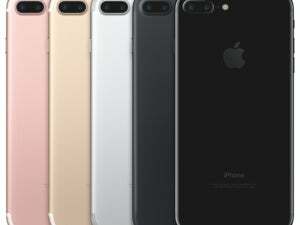 The iPhone now comes in 4.7- and 5.5-inch variations, both at 7.1mm. Apple’s competitors are shifting their focus from phones to voice assistants, an area where Apple was ahead with Siri but now lags behind rivals like Amazon. For an in-depth look back at the first iPhone, tune in to this great episode of the Internet History Podcast.